Nice and long awaited addition, this is done through VLC so you will need to install the correponding Mozilla plug-in. Daylight saving is no longer used in China so it's nice of them to implement it at last. Many people had troubles because of too long/complex SSID name or key. Not advertising ssid is a good practice and makes your AP slightly more secure. TLS support for emails at last ! ->If like me you get this error, it means that your camera is too old (mine's from September 2010). Foscam has confirmed this. Improved port forwarding through UPnP. -> Sunday and scrambled emails alarm bugs should also be resolved. The usual recommended way is to email Foscam with the device ID and current fw version to obtain it. The firmwares can also be found on the Foscam Malaysia web site. Please follow the "Upgrade guidance" document, do not flash over Wi-Fi, make sure you have the FI8918W and not the FI8908W. 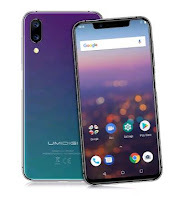 About the FI8908W: there is no similar update for the older cameras (Device 11.14.2.28/Web UI 2.4.8.15 are still current), and Foscam suggests that features #1 and #6 will not be possible with the FI8908W hardware. I hope they will introduce at least the hidden SSID support in a future firmware, otherwise this feature will be useless if you have a mix a old and new Foscam's on the network. First of all: big thanks to Bubbah for this excellent and very well managed blog and to all users for sharing their detailed knowledge. I'm Helmut, 64 years old from Berlin/Germany. I bought my first IP-cam (original Foscam FI8918W) some days ago and got it working and firmware update to 11.22.2.36 / 2.4.18.16 was successful. The tutorials and comments on this site helped me a lot. 1.) I would like to use the camera outdoor (at least if temperature is not below 0). Has anyone experience with that? I'm thinking of a transparent clylindric container to store the camera in. 2.) I'm looking for a way to bypass the initial screens of the native GUI to directly drop into to the "live video screen" including the camera controls. But I hope, there is an easier way. Just bypass the unwanted screens and used the original GUI. I would not advise you to place the FI8918W outside, I think that even in a special casing, it would soon die with the humidity. An outdoor ipcam like FI8904/05 would be more appropriate. 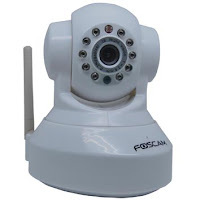 see the post "Third-Party software for Foscam IP Cameras"
I want to share it over an DynDns-account on the Internet. So there should be no need for visitors, to install additional software (VLC or the firefox plugin). videostream.cgi works fine, but there are no controls. The native GUI does the job. Its just a matter of convenience, to bypass the login page and the status page. This new firmware is only for FI8918W from Foscam. Flashing on the wrong model will brick your camera. I have had an FI8918W mounted inside my chicken run for the last 9 months so although under cover it is still open to humidity and temperature changes. Camera still operating so I would say it was worth taking the risk. Thanks Bubbah for uploading the firmware upgrade. Thanks, sewitall for submitting your experience. I mounted my Cam in the garden under a glas vase. The vase stands upside down on a plastic plate. I just bought a FI8918W and I'm using it with Zoneminder, together with other 3 Foscam cameras for outdoor monitoring (FI8904W). While I have no problems at all with the outdoor units, Zoneminder is complaining about a JPEG data corruption on the new FI8918W camera. I'm using the 11.22.2.30 firmware (webUI 2.4.18.15). Does anyone of you use a similar camera with ZoneMinder? Please notice that I can see correctly the images and video from the camera, only Zoneminder is complaining and it seems this could create problems with motion detection. I don't use Zoneminder but the fw version is pretty old and there was a bug with corrupted pictures being sent with email alert so I guess it is related. Current 11.22.2.36 (webui 2.4.18.16) can be found on the Foscam web site along with the upgrade instructions. What do you suggest? reflash the right firmware or mantain the wrong one? I'm considering to purchase a FI8909W. My expectation is, that it is similar to a FI8918W, but without pan/tilt. Are you aware of any other differences? Thanks for your help Bubbah...I upgraded the firmware to 11.22.2.36, but the problem persists. I'll try to contact Foscam to see if something can be done about this. Thanks. please check also the ZoneMinder wiki, as it seems that you need a specific script for FI8918W. I set up my Free DYNDNS.Com account, can I use a totalbof 3 cameras with it? or do I need to set up different accounts? If someone can explain how to broadcast the 3 cameras, I would appreciate it. looking around it seems to be a foscam issue. I've also the same issue with 2 fi8918w and zoneminder. Someone recompiled the libjpg library taking out the check which then make the camera working fine, but it's not a clean solution. I contacted Foscam to ask for a new firmware, but they told me there's no newer firmware available. I have the problem only with the FI8918W cameras, not with FI8905W nor FI8904W. Foscam claims that the jpg "engine" is the same, so that can't be their problem (of course this can't be true), and that they don't know ZoneMinder so they can't do much about this. do you have any issue in Zoneminder with those cameras ? "zmc -m 1' exited abnormally, exit status 255"
I have just 2 fi8918w connected so I don't know if the issue is caused by them or it's zoneminder itself. no issues with the cameras, except the mentioned problem with JPG corruption, which I fixed with syslog discarding all messages coming from ZoneMinder. it seems that a new firmware for FI8918W is out on the Foscam website: 11.22.2.38. 1) Support setting schedule more conveniently. 2) Support changing the upload image name for FTP. 3) Support setting the automatic patrol circles. 4) Add the option to turn off the alarm beep sound when alarm activated. 5) Add preset in Firefox, Google chrome and Safari. 1) Fix display issues on some language pages. 2) Fix the issue about saving recording path. I haven't tried it yet, the only thing I needed was the fix for the jpeg corruption reported by ZoneMinder, but it seems they've not fixed it yet (at least from their features list). hey, many thanks for the heads-up Fabio.